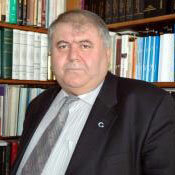 The international organization Freedom House's annual report "Freedom in the World 2010" is biased, Turkish expert said. "It is impossible to compare Turkey and Armenia on a criteria of freedom of speech," Salim Cohce, a professor of history and sociology at the state-run Inonu University, specialist on Armenia told Trend over phone from Ankara. The organization "Freedom House" with headquarters in the United States published a new report describing the situation with political and civil liberties, dividing countries into three categories - "free," "partially free" and "restricted". In the list Turkey and Armenia are placed in one line of partially free countries. Cohce said despite some problems, it is illogical to compare the situation in Turkey and Armenia. People, who took office by arms run, head Armenia. The media of this country is unable to express an opinion on the activity of any political figure, he added. "The situation with freedom of speech in Turkey is not perfect. One can say with confidence that the level of freedom in the country is higher than in Armenia, the United States and Europe," Cohce said. The expert said as opposed to Turkey, the United States could never openly discuss their domestic problems. There is no false information in the Turkish media, such as that spread by the U.S. media after the tragic events of September 11, 2001, and after the occupation of Iraq and Afghanistan, Cohce said. "Tortures used by U.S. military men against Iraqi prisoners in Ebu Gureyb prison are the so-called contribution of this country to protect human rights," he said ironically. Cohce said reckoning Turkey among several countries such as Armenia, is an attempt to discredit Ankara.